1966-79 Topps Baseball Collection Stars & HoFers (400+). 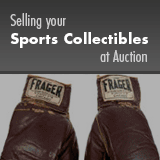 Offered is a 400+ card collection of mainly Stars and Hall of Famers from 1966 thru 1979. 1979 Topps Burger King Yankees (1) - #2 Munson (EX). Cards from 1968 thru 1970 grade overall VG to EX with some lesser. Cards from 1972 thru 1979 grade overall EX to NM with some lesser.